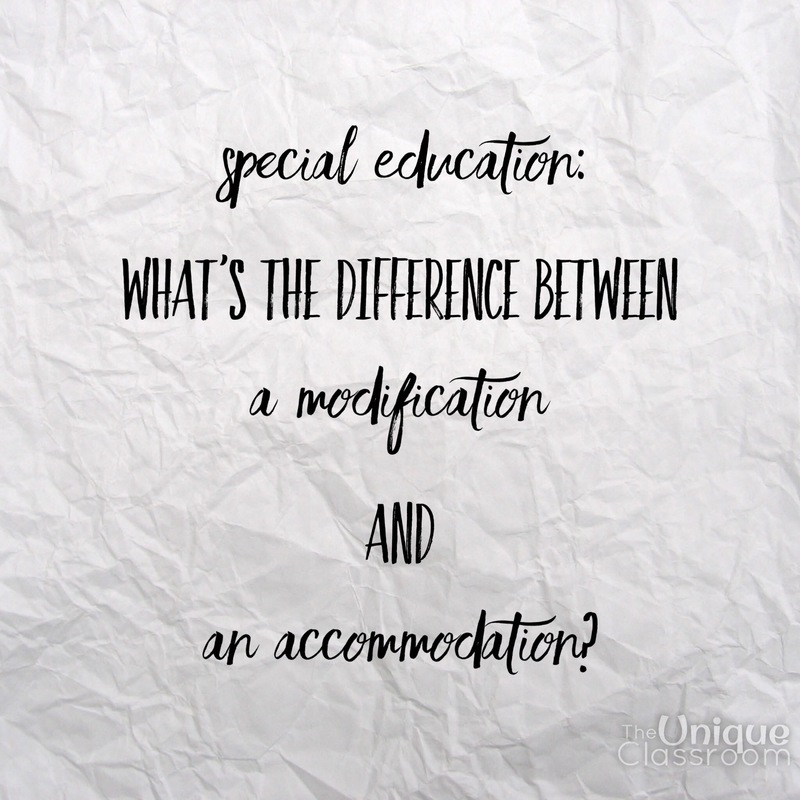 There is a unique difference between a modification and an accommodation. This is important for both parents and teachers to fully understand so each child is getting the challenging education he deserves. Usually a modification means a change in what is being taught to or expected from the student. Making an assignment less rigorous so the student is not doing the same level of work as other students is an example of a modification. An accommodation is a change that helps a student overcome or work around the disability, and still meet the expectations of the task.